This is an acrylic painting on a hard board panel. The painting measures 12″x 9″. 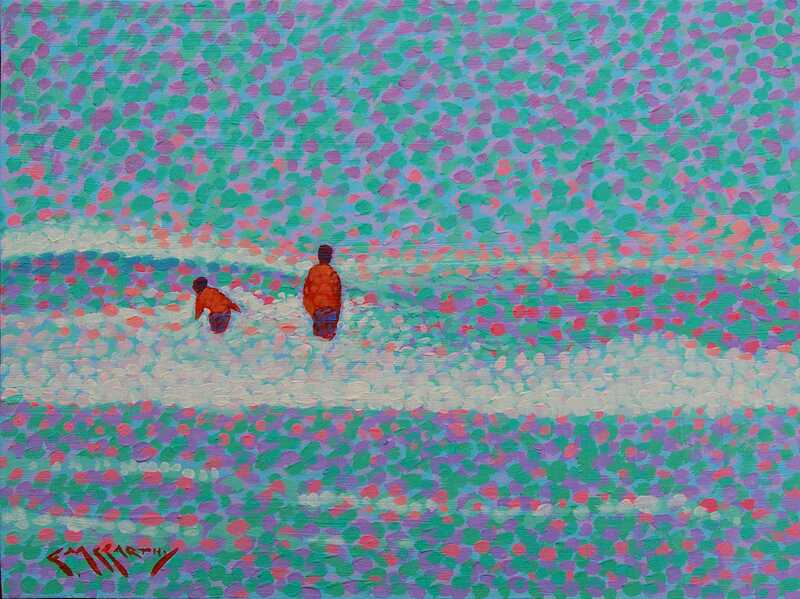 This pointillist painting depicts a father and son playing in the surf at the beach, during a summer storm. The storm systems that occurred produced some crazy effects along the east coast of Florida. This pointillistic painting is being sold unframed.